Many people are afraid to go to the dentist – and not just because of the perception that the treatment might hurt. There’s also fear of the pain to the hip pocket as well. At First Dental Studio we understand how hard it can be to balance rising costs of living and financial priorities which is why we are committed to making our caring, quality dentistry as affordable as we can for our patients. Read on to find out some of our tips to make your next dentist visit more affordable. As part of our commitment to making it more budget friendly for our patients to have regular dental visits, we have introduced our New Patient No Gap Check Up & Clean offer. If you have private health membership you’ll receive a comprehensive check-up and scale & clean with one of our gentle, experienced dentists for no out of pocket expenses. No private health? We offer the same service for a fixed $190 price (usually $295.00). 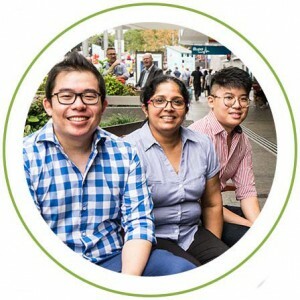 The First Dental Studio team are located near the Queen Street Mall and will talk you through your options to tailor a dental solution for you and your budget. First Dental Studio is a preferred provider for a number of Australia’s leading health funds including CBHS, HCF, nib, and TUH which means you can access even better rebates (depending on your level of cover) when you book dental services with us. Smile membership lets people save a guaranteed minimum of 15% off dental services in their provider network, even if you don’t have private health insurance. And if you do, you can make even bigger savings on your treatment when you combine your extras cover with your Smile membership. First Dental Studio are a Smile provider. If you’re a member of Defence Health, Australian Unity or Peoplecare you automatically have Smile membership with your private health insurance, which lets you save even more when you choose to use your extras benefits. Part of the reason why dentists recommend regular check-ups is because when caught early, it will often be easier, less invasive and potentially cheaper to treat the issue than if it is left until it is a dental emergency. If subsequent appointments are needed, we’ll discuss options with you to tailor a treatment schedule that suits your lifestyle and budget. Have you been thinking about starting a course of adult orthodontic treatment like Invisalign, ClearPath or QuickStraight Teeth but aren’t sure which option is right for you? First Dental Studio offers free consultations for orthodontic procedures which is a great way to start your research and decision making with obligation free, professional, personalised advice. If you’ve been putting off making your next dentist appointment, call us today on (07) 3229 4121. We’re always happy to discuss options and ways to make your next treatment more affordable while giving you the care your teeth deserve. Our Brisbane City location just near the Queen Street Mall and King George Square means you can even get a check-up in your lunch break.